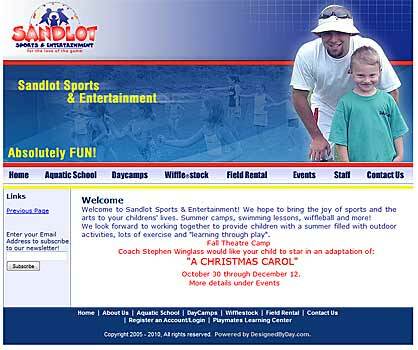 Sandlot Sports and Entertainment - Summer camps, swimming lessons, wiffleball and more! Designed By Day created a custom CMS for Sandlot Sports back in 2006. Custom CMS features include a dynamic form creation system for online registration and online payment for summer camps.